is a higher education institute located in Patiala, Punjab, India. 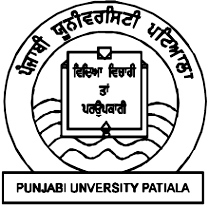 Punjabi University teaches and researches in science, engineering and technology, humanities, social sciences, performing arts and sports. It was established on the 30 April 1962, and is only the second university in the world to be named after a language, after Hebrew University of Israel. Originally it was conceived as a unitary multi-faculty teaching and research university, primarily meant for the development and enrichment of Punjabi language and culture, but alive to the social and education requirements of the state.
. WKD : Amaltas, Amaltaas blossoms .